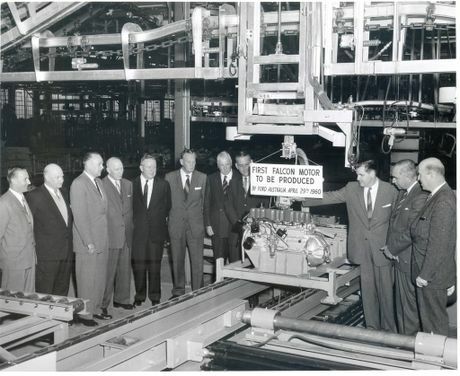 THE final ford Falcon has gone down the assembly line at the Blue Oval's plant in Broadmeadows, as the carmarker prepares to shutdown its Australian operations. Ford Australia boss Graeme Whickman issued a statement and addressed media this morning. He said it was an "emotional day" for everyone at Ford. 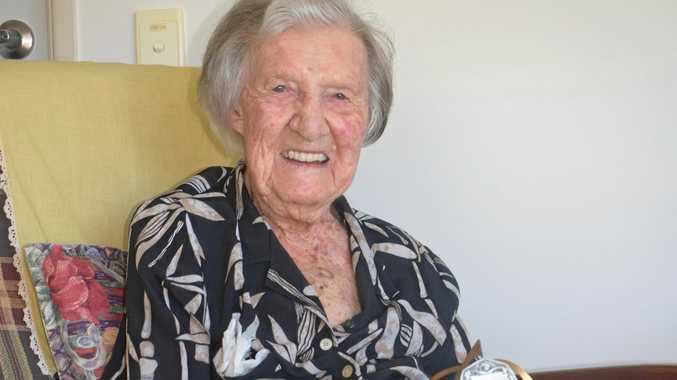 We are saying goodbye to some of our proud and committed manufacturing employees and marking an end to 91 years of manufacturing in Australia," he said. "But, as the country's largest automotive investor and soon employer, we have been able to transfer many employees from our plants to our design, engineering and testing facilities across Victoria." Feeling blue about the end of Ford? Take a look through the company's proud Australian history. Few families could say they have never had one of the two in their driveway over the past 50-odd years. Yet never both - families were staunchly Ford or Holden. It's an environment vastly different from when the Falcon was first launched in 1960. 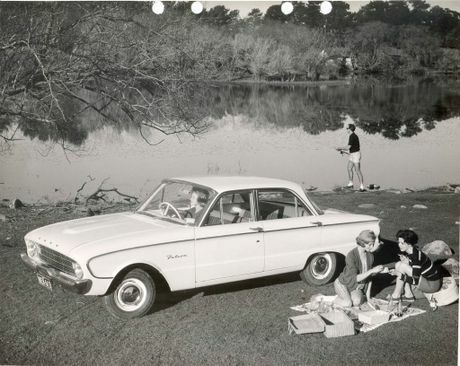 Since then, more than 3.7 million Falcon sedans, wagons and utes have been sold. Back in the 1950s, initial plans had Ford looking at the likes of the Zephyr, Consul and Zodiac to lead its sales assault on Holden - which was dominating the market, partly due to Ford's higher prices attributed to the import tariffs imposed on parts. Challenging rough-and-tumble Aussie roads had a negative impact on the American-sourced XK variant, which quickly heralded suspension changes that headlined the XL's arrival two years later. 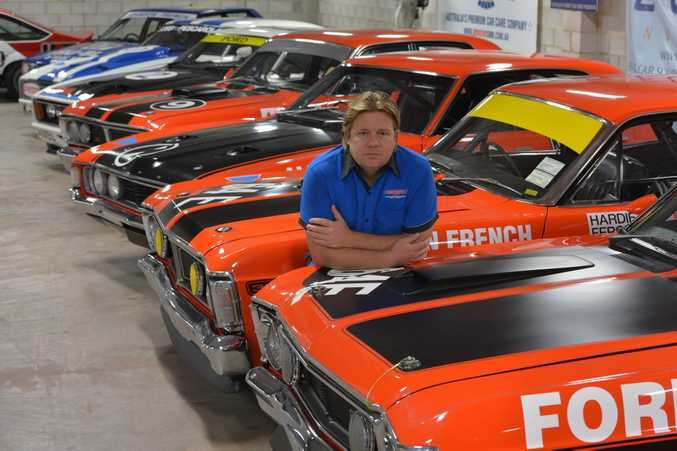 "They created some damage on the cars but in the end they all finished," said Dan Bowden, a proud Blue Oval fan and a member of the Bowden Car Care family, which owns some of Australia's most prestigious race and road cars. "There were rollovers… the whole lot, but they kept them going and ran non-stop. It was crazy back then for a manufacturer to take on something like that with all these young testosterone-fuelled race drivers. "It was a crazy idea but they pulled it off. They did some really good work on those cars (XPs) and they became more 'Australianised' and they are a very different car from the American Falcon." 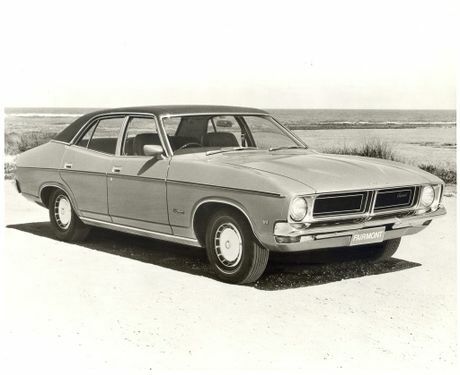 For the true Ford devotees, the love affair began in 1967 with the XR GT. That's where the performance heritage of the brand was formed, courtesy of a 225bhp (168kW) 289-cu-in (4.7-litre) Windsor V8 engine, sourced from the Mustang. The Mountain ultimately proved to be a pivotal marketing source for both brands, when the old adage of "win on Sunday, sell on Monday" came to the fore. Back in the '70s the vehicles in showrooms were not vastly different from those on the track - apart from the roll cage. Part of the Falcon's appeal was the whole family could go along for the ride. The RACQ's Joe Fitzgerald also has blue running through his veins. "I recall childhood road trips, roasting on the white-hot vinyl seats of our XC Falcon, with some fondness," he said. "But anyone genuinely shocked that the Falcon will soon cease to exist simply hasn't been paying attention. "The relegation of the once-mighty family car market to an also-ran meant the days of producing a vehicle with little global appeal were always going to be numbered." The 1960 XK Ford Falcon. The 1964 XM Ford Falcon. 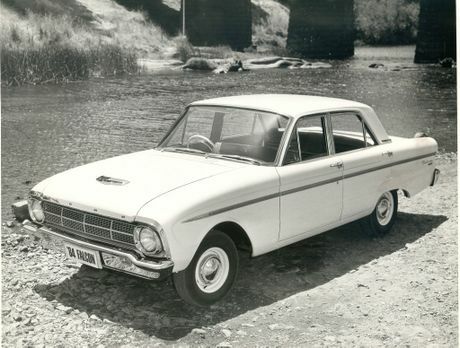 The 1965 XP Ford Falcon. 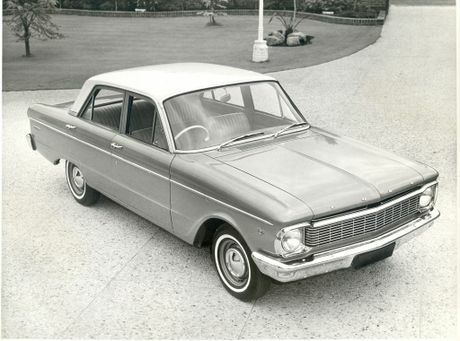 The 1965 XR Ford Falcon. 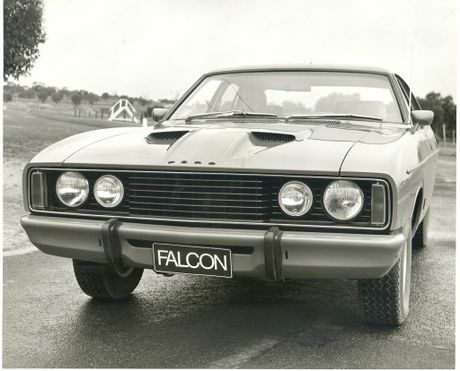 Known as the "Mustang-bred Falcon", it was the first Australian Falcon to be offered with a V8 engine (previously reserved for upmarket offerings), a 4.7-litre 150kW Windsor unit. There were nine models. In 1967, the much-lauded GT arrived with an up-rated version of the V8, pumping out 168kW. An underrated offering, it was a better car than the XR but it didn't win Bathurst. It's identified by a divided grille and inset driving lights for the GT. The 1969 XW Ford Falcon. Bolder styling, which featured raised ridges down each front guard and a "buttressed" C-pillar. A new dashboard and trim variations also appeared. Factory-fitted, fully integrated air conditioning was made available as an option for the first time. The GT variant gained a bigger V8, producing 291 horsepower (217 kW). The GT got a racing-style bonnet scoop, bonnet locks, and blackouts, as well as stripes along the full length of the car. The GT-HO was born. A homologation specially built for racing, HO officially stood for "Grand Tourer Handing Option" but its true meaning was "High Output". The Phase I was fitted with the 351-cu-in Windsor V8, but was replaced a year later with the 351 Cleveland, producing 300 horsepower (220 kW) in the Phase II GT-HO, which won Bathurst with Allan Moffat at the wheel. They were a brilliant car for the era and created a cult following. The 1972 XA Ford Falcon. With more aggressive styling, a stalk with indicators, high beam and horn, there was a new panel van and utility trim packages, "Surferoo" and "Surfsider". Front disc brakes became standard across the range. This vehicle was well-known for featuring in Mad Max movies. GT models were still produced, and despite Ford pulling out of racing, Allan Moffat continued to campaign the Falcon with his own team. The 1976 XC Ford Falcon. 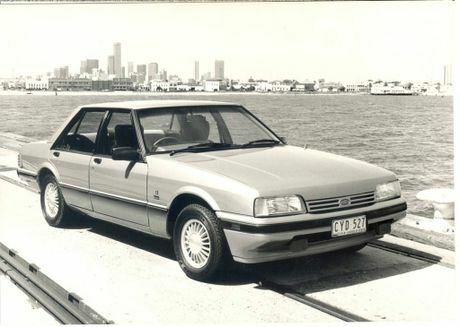 The 1982 XF Ford Falcon. The 1988 EA Ford Falcon. Ford spend $700 million on the redevelopment. Three straight-six engines were initially available in four trim levels. 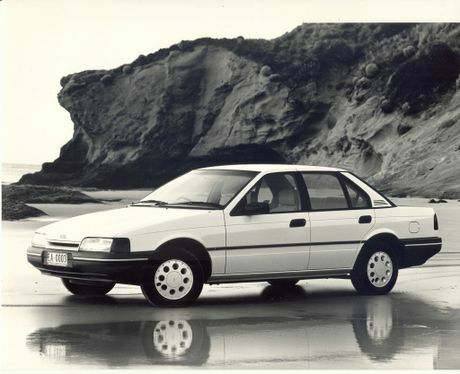 It also helped maintain Ford's strong sales performance ahead of Holden. 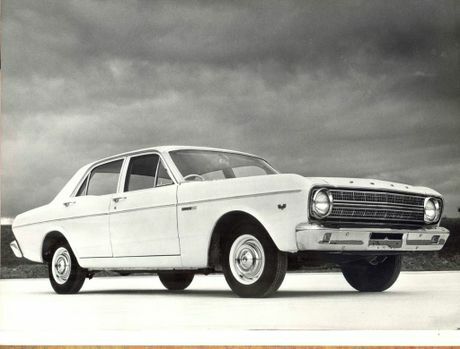 The Falcon got some curves and a redesigned interior, while a driver's airbag was made standard on all variants - a first for an Australian car. The 4.0-litre six-cylinder was upgraded to 157 kilowatts. 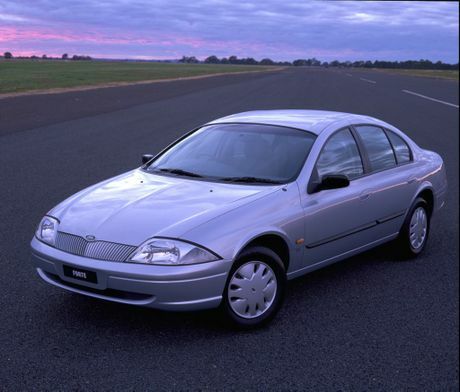 The 1996 EL Ford Falcon. Now regarded as ahead of its time, the AU embraced "New Edge" design. It wasn't liked by many Australians, and two subsequent series delivered styling improvements. 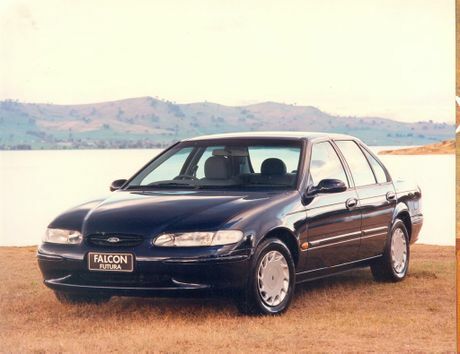 The 1998 AU Ford Falcon. 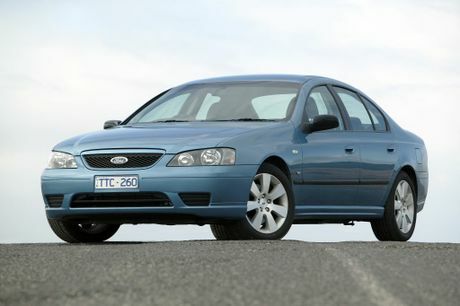 The 2005 BF Ford Falcon. 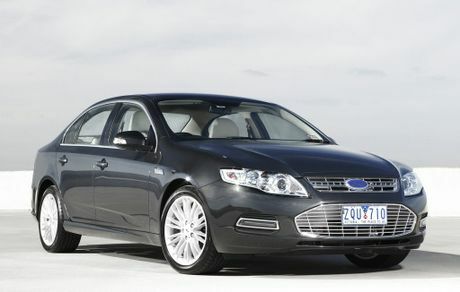 The 2013 FG Ford Falcon. Wearing the Ford Mustang face, it's the final Falcon ever to be produced. It saw the re-introduction of the iconic XR8, but Ford promises this will be the last time the Falcon nameplate will be used. 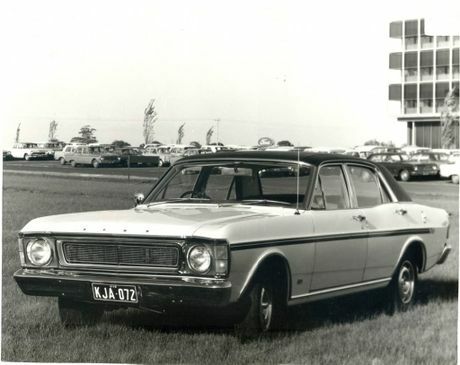 The Ford Falcon is Australia's longest-running nameplate.